Mayor Bowser's Trip to Mexico City C40 Summit! 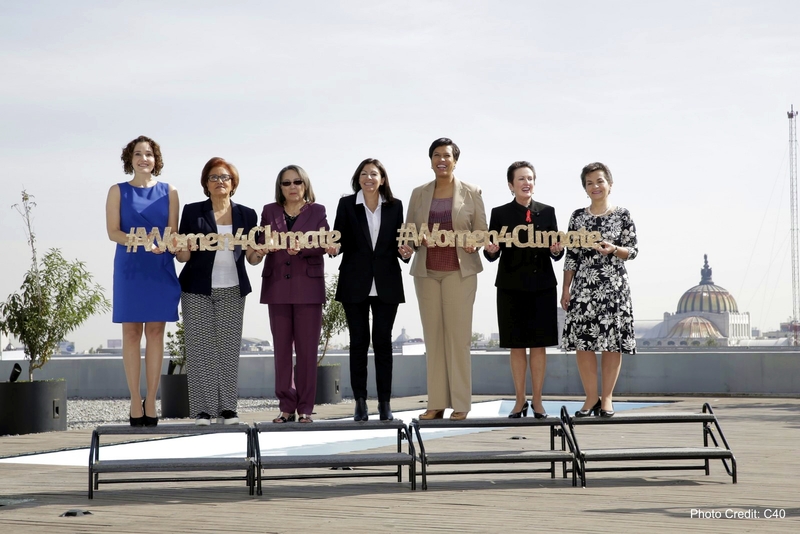 Mayor Bowser’s Trip to Mexico City C40 Summit! All sustainability organizations and advocates are invited to DCEN’s monthly networking opportunity. This will be the first of two climate focused briefings in January/February. 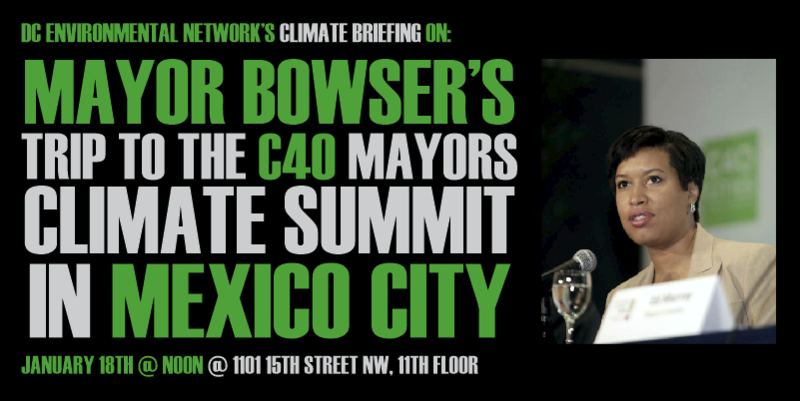 On January 18th at NOON, join the DC Environmental Network for a special climate briefing on Mayor Muriel Bowser’s recent trip to Mexico City to participate in the C40 Mayors Climate Summit. This briefing will include comments from Tommy Wells, Director of the Department of Energy & Environment (DOEE), and other individuals who were part of the District of Columbia’s summit delegation. You must RSVP here if you would like to attend the briefing! All are welcome. You must RSVP here to attend.